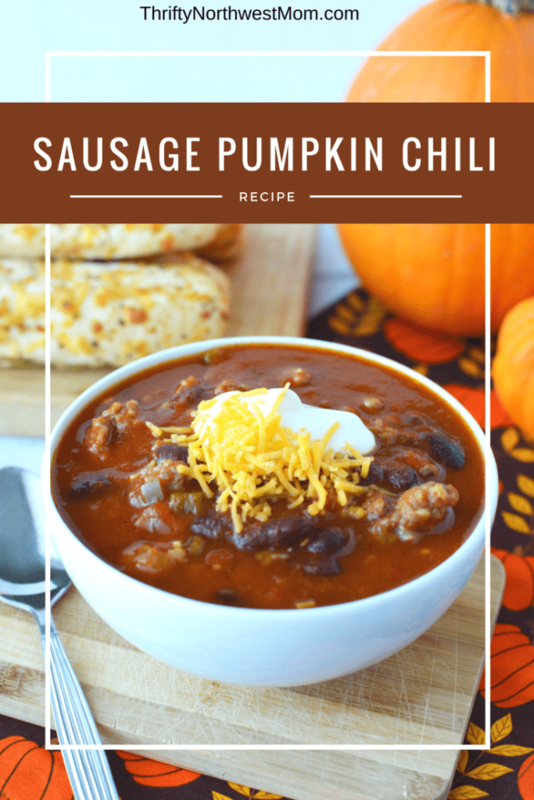 Slow Cooker Sausage and Pumpkin Chili – Delicious Fall Soup! 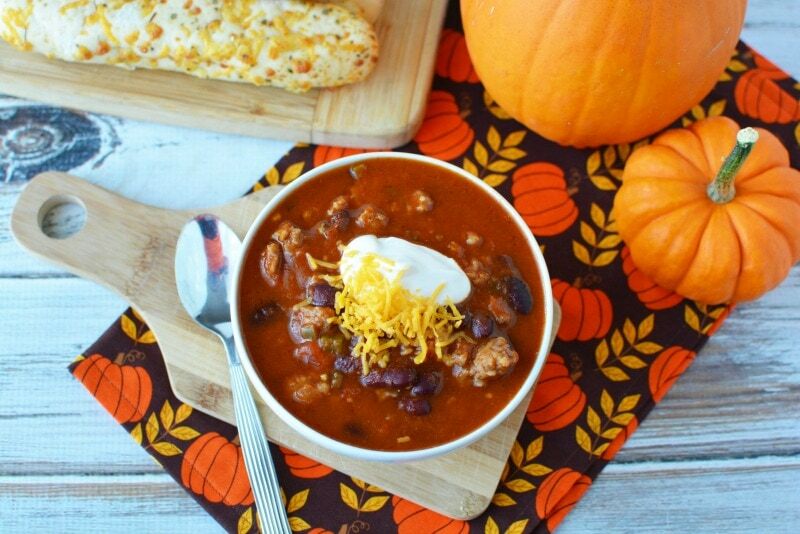 Nothing says fall like a good bowl of chili. 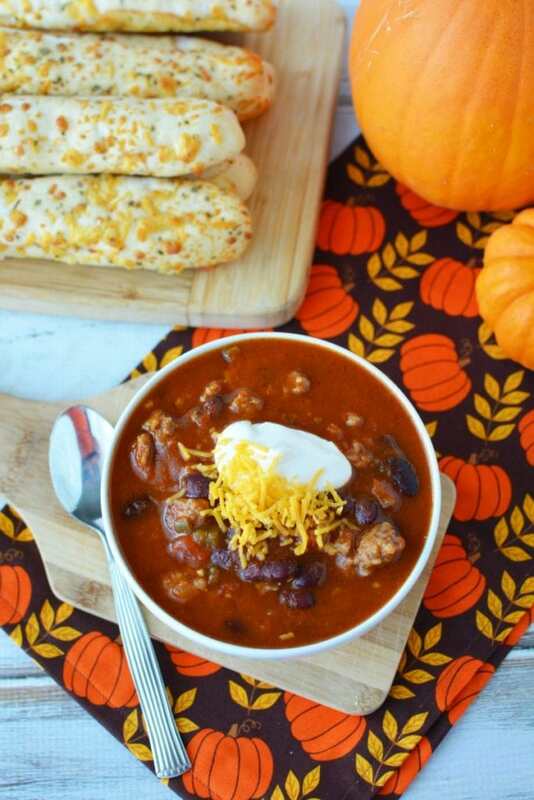 This sausage and pumpkin chili is perfect for the autumn season and you’ll love the flavor that the Octoberfest beer adds to it. 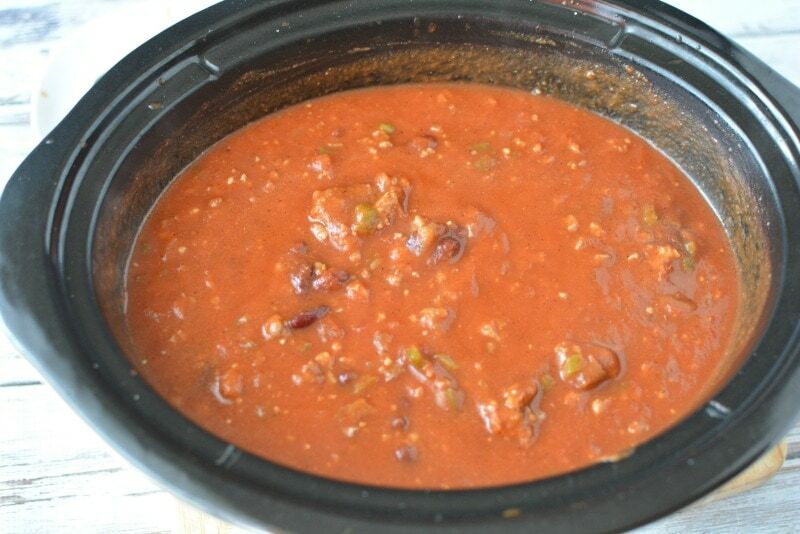 You can make this in a crockpot or on the stovetop – either way it’s delicious! I love walking in the house after a long day to dinner already made in the slow cooker and this makes a yummy, warm dinner to come home to on one of our blustery Northwest fall days. In a large skillet, brown the sausage. Drain and set aside. Using the same skillet, cook the peppers and onions until tender over medium low heat, then add the garlic and cook for one more minute. 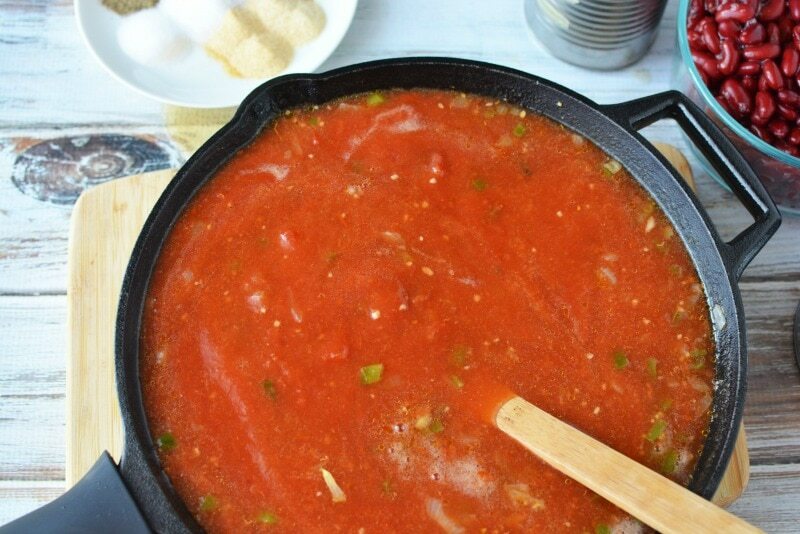 Turn the heat up to high and add the beer, crushed tomatoes and tomato sauce. Bring to a boil, then reduce the heat and simmer for 10 minutes stirring occasionally. 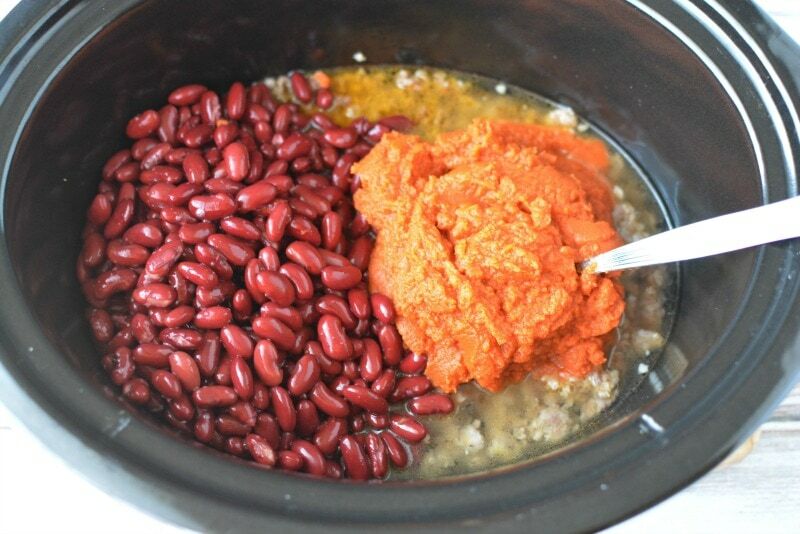 In a large stock pot or crockpot, combine the liquid mixture with the meat, beans, seasonings and pumpkin puree. Cook on low for 4-6 hours. Serve with your favorite toppings. 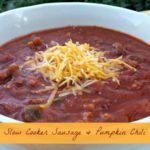 Here’s a printable version of the Slow Cooker Sausage and Pumpkin Chili recipe for you to print off to put in your recipe binder or notebook. 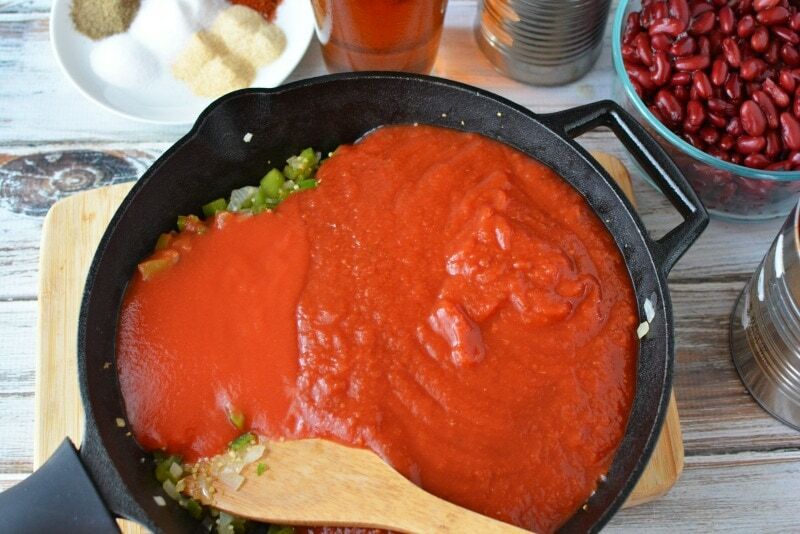 Turn the heat up to high and add the beer, crushed tomatoes and tomato sauce. Bring to a boil, then reduce the heat and simmer for 10 minutes stirring occasionally. 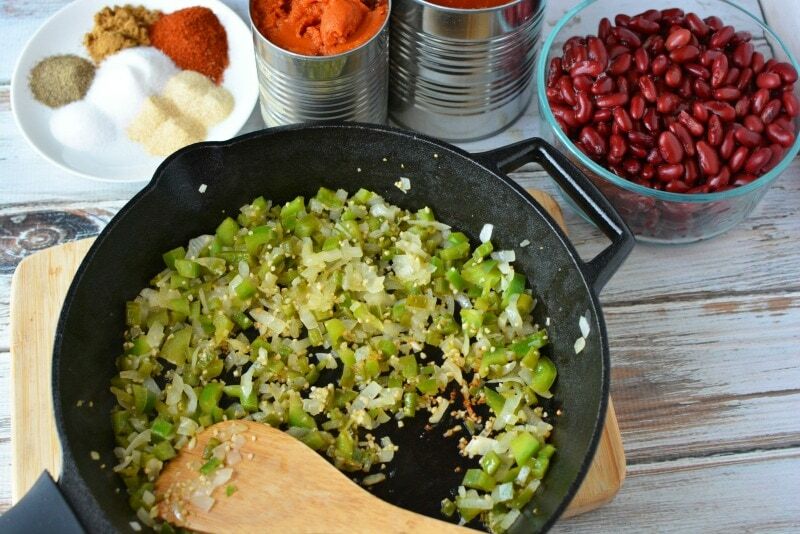 What are your favorite fall soups to make? Am I missing something? Where’s the pumpkin? Shg – Sorry about that – it’s all fixed! Mistakenly left that out as I was typing it in! We don’t drink alcohol and I realize it cooks out but could you recommend some non-alcoholic alternatives? Hi Kim, You could also try substituting a beef broth in place of the beer, or a non-alcoholic beer. Hope that helps!